Alternate Fuel Air Cleaners are a family of air cleaners designed for use on machinery that uses propane or compressed natural gas as a fuel source, commonly gaseous engine conversions used by alternate fuel mixers. 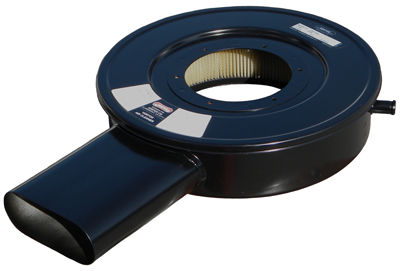 Alternate Fuel Air Cleaners perform the same function as an air cleaner on a diesel engine but have a higher air flow and can mount directly to alternate fuel mixers. Vortox Air Technology Alternate Air Cleaners and Plenums can withstand backfires because they are constructed entirely of rugged Carbon Steel and are finished in a black baked polyester coating. All Vortox Air Technology, Inc. Alternate Fuel Air Cleaners are easy to service with removable paper filter elements.